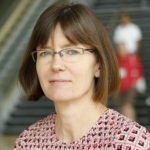 Gillian is a Research Group Head at the Hudson Institute of Medical Research, along with a paediatric respiratory and sleep specialist working in the Faculty of Medicine, Nursing and Health Sciences at Monash University as a Senior Research Fellow. A/Prof Gillian Nixon is a paediatric respiratory and sleep physician. She trained in paediatrics in New Zealand, before undertaking specialty post-graduate training at the Royal Children’s Hospital in Melbourne and Montreal Children’s Hospital in Canada. Her current appointments are as a paediatrician in respiratory and sleep medicine at Monash Children’s Hospital and a Senior Research Fellow at Monash University in Melbourne. Her research interests are in the diagnosis and consequences of obstructive sleep apnoea (OSA) in children, treatment of childhood OSA, and sleep-related respiratory disorders in children with other medical conditions. Toon, E., Davey, M.J., Hollis, S., Nixon, G.M., Horne, R.S.C., Biggs, S.N., 2016, Comparison of Commercial Wrist-Based and Smartphone Accelerometers, Actigraphy, and PSG in a Clinical Cohort of Children and Adolescents, Journal of Clinical Sleep Medicine [P], vol 12, issue 3, The American Academy of Sleep Medicine, United States, pp. 1-5. Walter, L.M., Biggs, S.N., Nisbet, L., Weichard, A., Hollis, S., Davey, M.J., Anderson, V.A., Nixon, G.M., Horne, R.S.C., 2016, Improved long-term autonomic function following resolution of sleep-disordered breathing in preschool-aged children, Sleep and Breathing [P], vol 20, Springer, Germany, pp. 309-319. Biggs, S.N., Meltzer, L.J., Tapia, I.E., Traylor, J., Nixon, G.M., Horne, R.S.C., Doyle, L.W., Asztalos, E., Mindell, J.A., Marcus, C.L., 2016, Sleep/ Wake Patterns and Parental Perceptions of Sleep in Children Born Preterm, Journal of Clinical Sleep Medicine [P], vol 12, issue 5, The American Academy of Sleep Medicine, United States, pp. 711-717. Walter, L.M., Biggs, S.N., Cikor, N., Rowe, K., Davey, M.J., Horne, R.S.C., Nixon, G.M., 2016, The efficacy of the OSA-18 as a waiting list triage tool for OSA in children, Sleep and Breathing [P], vol 20, issue 2, Springer, Germany, pp. 837-844. Walter, L.M., Biggs, S.N., Nisbet, L., Weichard, A., Muntinga, M., Davey, M.J., Anderson, V.A., Nixon, G.M., Horne, R.S.C., 2015, Augmented cardiovascular responses to episodes of repetitive compared with isolated respiratory events in preschool children with sleep-disordered breathing, Pediatric Research [P], vol 78, issue 5, Nature Publishing Group, United States, pp. 560-566. Sahadan, D.Z.H., Davey, M.J., Horne, R.S.C., Nixon, G.M., 2015, Improving detection of obstructive sleep apnoea by overnight oximetry in children using pulse rate parameters, Sleep And Breathing [P], vol 19, issue 4, Springer, Germany, pp. 1409-1414. Biggs, S.N., Walter, L.M., Jackman, A.R., Nisbet, L., Weichard, A., Hollis, S., Davey, M.J., Anderson, V.A., Nixon, G.M., Horne, R.S.C., 2015, Long-term cognitive and behavioral outcomes following resolution of sleep disordered breathing in preschool children, PLoS ONE [E], vol 9, issue 9 (Art. ID : e0139142), Public Library of Science, United States, pp. 1-19. Walter, L.M., Biggs, S.N., Nisbet, L., Weichard, A., Hollis, S., Davey, M.J., Anderson, V.A., Nixon, G.M., Horne, R.S.C., 2015, Long-term improvements in sleep and respiratory parameters in preschool children following treatment of Sleep Disordered Breathing, Journal of Clinical Sleep Medicine [P], vol 11, issue 10, The American Academy of Sleep Medicine, United States, pp. 1143-1151. Biggs, S.N., Walter, L.M., Jackman, A.R., Nisbet, L., Weichard, A., Hollis, S., Davey, M.J., Anderson, V.A., Nixon, G.M., Horne, R.S.C., 2015, Longitudinal impact of resolution of snoring in young children on psychosocial functioning, Journal Of Pediatrics [P], vol 167, issue 6, Mosby, Inc., United States, pp. 1272-1279. Walter, L.M., Nixon, G.M., Davey, M.J., Downie, P.A., Horne, R.S.C., 2015, Sleep and fatigue in pediatric oncology: a review of the literature, Sleep Medicine Reviews [P], vol 24, Elsevier Masson, France, pp. 71-82. Marcus, C.L., Traylor, J., Biggs, S.N., Roberts, R.S., Nixon, G.M., Narang, I., Bhattacharjee, R., Davey, M.J., Horne, R.S.C., Cheshire, M., Gibbons, K.J., Dix, J., Asztalos, E., Doyle, L.W., Opie, G.F., D’ilario, J., Costantini, L., Bradford, R., Schmidt, B., 2014, Feasibility of comprehensive, unattended ambulatory polysomnography in school-aged children, Journal of Clinical Sleep Medicine [P], vol 10, issue 8, The American Academy of Sleep Medicine, United States, pp. 913-918. Vlahandonis, A., Yiallourou, S., Sands, S., Nixon, G.M., Davey, M.J., Walter, L.M., Horne, R.S.C., 2014, Long-term changes in blood pressure control in elementary school-aged children with sleep-disordered breathing, Sleep Medicine [P], vol 15, issue 1, Elsevier, Netherlands, pp. 83-90. Vlahandonis, A., Yiallourou, S., Sands, S., Nixon, G.M., Davey, M.J., Walter, L.M., Horne, R.S.C., 2014, Long-term changes in heart rate variability in elementary school-aged children with sleep-disordered breathing, Sleep Medicine [P], vol 15, issue 41, Elsevier, Netherlands, pp. 76-82. Biggs, S.N., Vlahandonis, A., Anderson, V., Bourke, R.S.B., Nixon, G.M., Davey, M.J., Horne, R.S.C., 2014, Long-term changes in neurocognition and behavior following treatment of sleep disordered breathing in school-aged children, Sleep [P], vol 37, issue 1, Associated Professional Sleep Societies, USA, pp. 77-84. Marcus, C.L., Meltzer, L.J., Roberts, R.S., Traylor, J., Dix, J., D’ilario, J., Asztalos, E., Opie, G.F., Doyle, L.W., Biggs, S.N., Nixon, G.M., Narang, I., Bhattacharjee, R., Davey, M.J., Horne, R.S.C., Cheshire, M., Gibbons, K.J., Costantini, L., Bradford, R., Schmidt, B., 2014, Long-term effects of caffeine therapy for apnea of prematurity on sleep at school age, American Journal Of Respiratory And Critical Care Medicine [P], vol 190, issue 7, American Thoracic Society, United States, pp. 791-799. Biggs, S.N., Nixon, G.M., Davey, M.J., Navarro, D.C.C., Kennedy, J.D., Lushington, K., Horne, R.S.C., 2014, Pediatric Sleep Survey Instrument–a screening tool for sleep disordered breathing, Sleep And Breathing [P], vol 18, issue 2, Springer, Germany, pp. 383-390. Vlahandonis, A., Biggs, S.N., Nixon, G.M., Davey, M.J., Walter, L.M., Horne, R.S.C., 2014, Pulse transit time as a surrogate measure of changes in systolic arterial pressure in children during sleep, Journal of Sleep Research [E], vol 23, issue 4, Wiley-Blackwell, United Kingdom, pp. 406-413. Theilhaber, M., Arachchi, S., Armstrong, D.S., Davey, M.J., Nixon, G.M., 2014, Routine post-operative intensive care is not necessary for children with obstructive sleep apnea at high risk after adenotonsillectomy, International Journal of Pediatric Otorhinolaryngology [P], vol 78, issue 5, Elsevier, United Kingdom, pp. 744-747. Lin, S.C., Davey, M.J., Horne, R.S.C., Nixon, G.M., 2014, Screening for obstructive sleep apnea in children with Down syndrome, Journal Of Pediatrics [P], vol 165, issue 1, Mosby, Inc., United States, pp. 117-122. Nisbet, L., Nixon, G.M., Yiallourou, S., Biggs, S.N., Davey, M.J., Trinder, J.A., Walter, L.M., Horne, R.S.C., 2014, Sleep-disordered breathing does not affect nocturnal dipping, as assessed by pulse transit time, in preschool children: evidence for early intervention to prevent adverse cardiovascular effects?, Sleep Medicine [P], vol 15, issue 4, Elsevier, Netherlands, pp. 464-471. Biggs, S.N., Nixon, G.M., Horne, R.S.C., 2014, The conundrum of primary snoring in children: what are we missing in regards to cognitive and behavioural morbidity?, Sleep Medicine Reviews [P], vol 18, issue 6, Elsevier Masson, France, pp. 463-475. Nixon, G.M., Hyde, M., Biggs, S.N., Walter, L.M., Horne, R.S.C., Davey, M.J., 2014, The impact of recent changes to the respiratory scoring rules in pediatrics, Journal of Clinical Sleep Medicine [P], vol 10, issue 11, The American Academy of Sleep Medicine, United States, pp. 1217-1221. Horne, R.S.C., Nixon, G.M., 2014, The role of physiological studies and apnoea monitoring in infants, Paediatric Respiratory Reviews [P], vol 15, issue 4, Elsevier Ltd, United Kingdom, pp. 312-318.